October the 1st almost a religious date with many New Zealand anglers, the opening day of our back country rivers and streams. Hill country rivers that have remained closed over the winter months are now reopened offering superb angling oppertunities to the nymph fisherman. 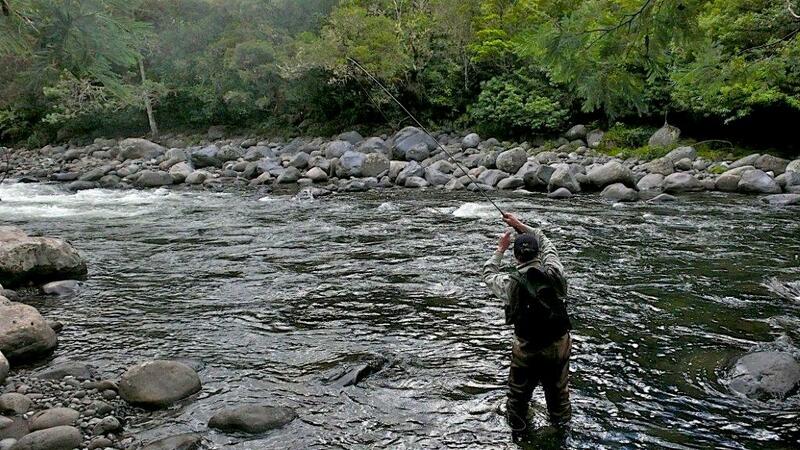 Depending on your preference for large or small waters there is a river or stream in our region just for you. 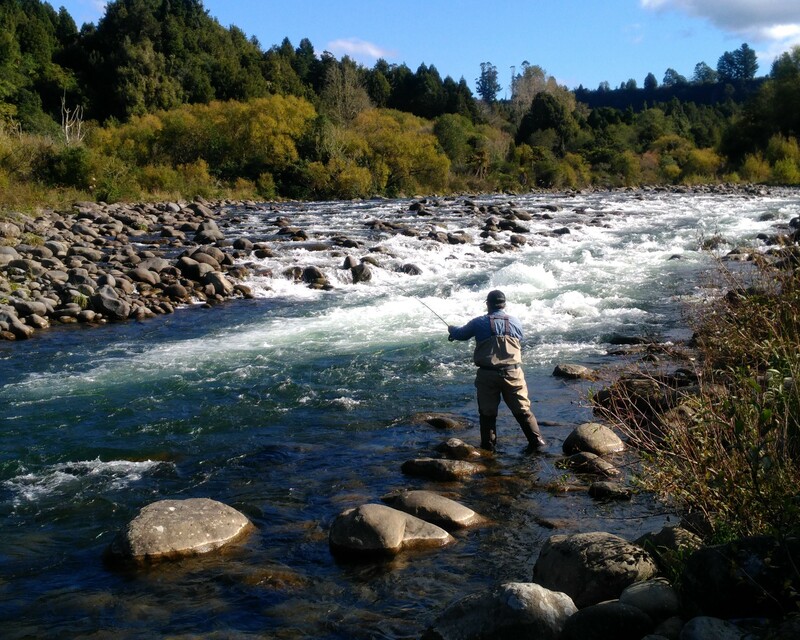 With several Taupo rivers also at their best with peak spawning runs you'll be spoilt for choice. Enjoy the slide show below. #5 to #7 weight rod & floating line. Line colour white, green or grey. Nymphs a combination of summer and winter patterns. The ultimate season in any New Zealand fly fishing experience for many anglers and probably my favourite time of year on our rivers. Back country rivers and streams at their very best, wild and remote with browns and rainbows cruising the surface taking dry flys. A wealth of oppertunities available to the visiting angler by either four wheel drive, raft or helicopter access. Summer is the season to explore with nymph or dry fly and because our back country trout are wild resident river fish, catch and release is practised in order to preserve these unique fisheries. Plenty of photo oppertunities await you, I'll let the slide show below speak for itself. #5 and #6 weight rods, floating lines (dull colours desirable). Rubber-soled wading boots or similar & stocking foot breathable waders ideal, felt soles has been baned in all NZ waters in order to help holt the spread of Didymo an invasive weed. ( wading boots will be provided on request.). Dry flys in # 14's, # 12's & larger, terresterials like the cicada hatch at its peak. As a final reminder before you leave for New Zealand, PLEASE insure you ' CHECK, CLEAN, DRY ' all your fishing gear as you will be throughly checked on arrivial by NZ Customs ' Tight Lines '. Peter.